This blog was written by a palliative nurse Bonnie Ware i who counselled the dying in the last 12 weeks of their life. Bonnie has recorded her thoughts in a blog called “Inspiration and Chai” (link http://www.inspirationandchai.com/Regrets-of-the-Dying.html ) and subsequently released a book titled “The Top 5 Regrets of the Dying”. 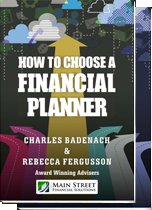 It is a powerful read for anyone that is interested in maximising their life capital. Most of us tend to take life for granted, but your circumstances can change in an instant. Goodluck. At some stage in life most people are faced with a choice of whether they should buy or continue renting. The easier option is to maintain the status quo and continue renting; after all it gives flexibility and more money in your pocket each week. There are advantages and disadvantages with each option that need to be carefully considered. From a financial point of view, over the long term, buying a home is generally the best option. Buying a home builds wealth through forced savings by paying off your mortgage, and the capital growth in the property. The main problem with renting is that it entrenches behaviour that does not lead to long term financial security, as when you rent you generally pay less each fortnight than if you are buying a home. This leads to a false sense of security in that you have more money in your pocket each week, which inevitably is not used for investment, but rather for the day-to-day temptations of life. The lower the rent, the greater the difference. A school friend of mine lived in a share house with 3 others in the mid 1990s, paying $80 per week as his contribution to the rent. He was earning a substantial salary, but guess what? – he was not saving anything with his salary being used to pay a car loan, overseas holidays and the latest designer wardrobe. After discussing the options with him when he came around for dinner one night, I suggested he should look at buying the house where he lived and maintain the status quo. After doing his calculations he agreed and purchased the property for $145,000, getting a gift from his parents as the deposit and borrowing $140,000 from a bank. The interest rate on the loan was 7.50% and he took the loan over a 25 year period. His mortgage re-payments were $478 per fortnight. After taking into account the rent he received, buying the house cost him an extra $158 per fortnight. The price of the house was obviously a lot lower than it is now, but so was the rent. The rent that you pay now is a lot more than you paid at that time. You will be pleased to hear that 15 years on he no longer lives in a “men behaving badly” type environment, and has now renovated the house and lives in it with his wife and 2 young children. From the table above you can see that initially, from a cash flow point of view, you are better off renting. Over the long term you will only be better off renting providing that you invest the difference (i.e. that you save $597 per month) and get a greater return from this investment than the home. From these tables you will note that if the returns are identical, you will be better off buying a home over the long term. In any event, renting over the long term you often end up in a worse financial position than that outlined above. The reason is that most people do not have the discipline to invest the difference they save by renting versus buying. As a general rule the property owner will be better off on the long term. 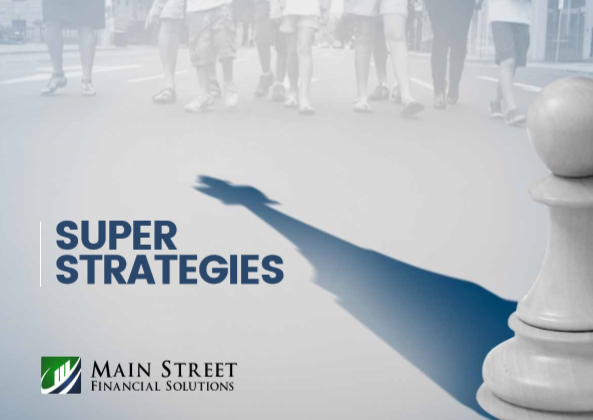 If you have any questions please don’t hesitate to contact Main Street Financial Solutions, we would love to help you.